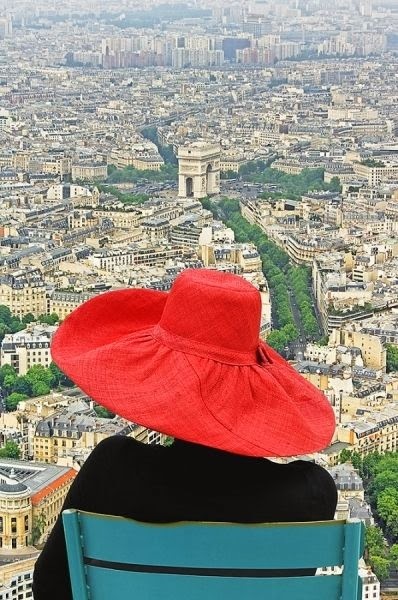 Check out this jaw-dropping view of Paris! Since the family and I will be headed to Europe later this Spring, I thought I would start a travel essentials blog series that would share some of the best travel gear for those of us on the go. To start the series off, today I'll share a few clothing items, travel gadgets, and accessories that are ideal for us jet-setting gals. These essentials that will help get you where you're going with both style and sanity intact! 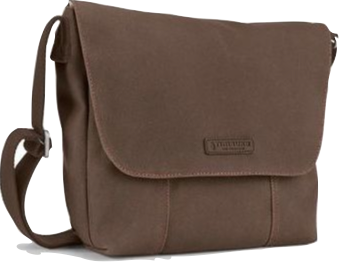 Security, capacity, and comfort are key in a day bag, so I recommend a bag with an adjustable cross-body strap that is very durable and thick (i.e. hard for someone to quickly cut from you). This medium size bag has just that...plus a large zippered pocket that lays next to your body (for items you want most protected) and multiple compartments within the bag. Do you have multiple passports and tickets to keep track of? Unless you're traveling solo, you probably do! 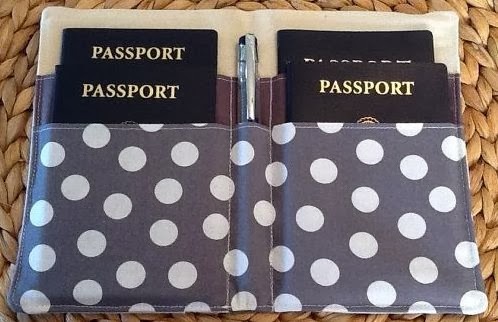 This passport portfolio fits up to 4 passports, has space for a pen and tickets, and is super cute too. Another perk? You can customize the look of it with several fabric options. Because you rarely have the opportunity to do laundry while traveling and aim to pack as light as possible, shirts made of lightweight breathable fabric are essential. You can wear this quick-drying shirt multiple times thanks to it's moisture wicking fabric and it won't wrinkle in your luggage. 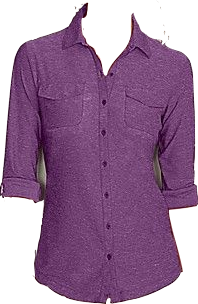 The shirt contains Freeshade UPF 30 sun protection and the sleeves can be rolled up or left down for cooler weather. It's tough to settle on the perfect travel shoe. There's a bit of a dilemma...you need comfortable shoes for days filled with walking but you don't want to look frumpy. 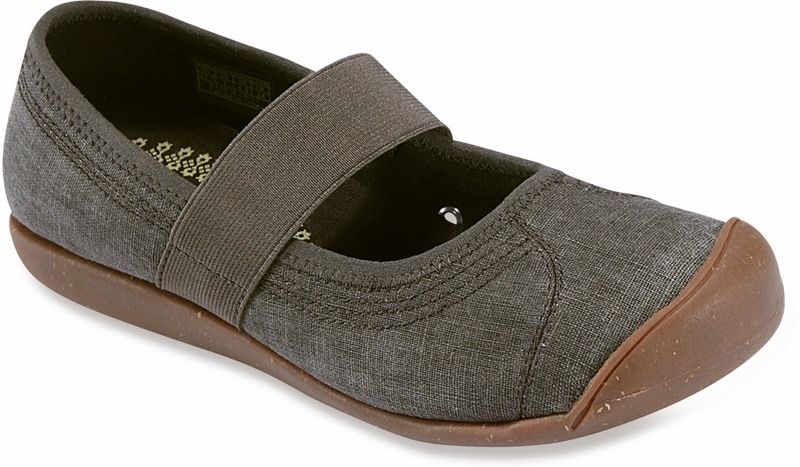 These shoes are both cute and comfy, and come in several colors. From the moment I first put them on, I knew they'd become a staple for both traveling and while at home. Best part - you can wear them with pants, skirts, shorts, or casual dresses. That's one pair of shoes that goes with everything! This infinity scarf is absolutely brilliant! It has a hidden 9"x9" pocket sewn into the seam - the perfect place to stash your passport, hotel key, credit cards, phone, and lip balm. Not only will this fashionable accessory pull your outfit together, the utility can't be beat. When I travel, I like to take at least one dress with me that I can dress up for a night out or wear more casually during the day. This one is comfortable, flattering, and versatile for day-to-night. The arms have zippered cuffs, allowing you to roll the sleeves up on a warmer day, and the two zippered pockets are great for safely stashing cash and credit cards. Comes in 4 colors! When we travel, iPads and iPhones are the only electronics we bring with us. That's right...no laptops, no hair dryers, nothing else. 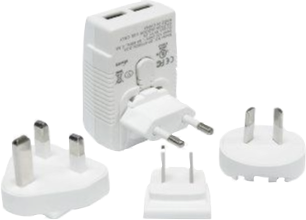 For us, this USB charger adapter set does it all. Just plug and play with your Apple USB chords. Staying connected to the internet while we travel is critical to us. 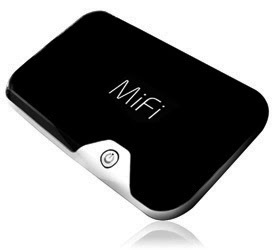 With a personal Wi-Fi hotspot like this, you can keep access to web browsing for maps, weather reports, travel tips, directions, restaurant reviews, venue hours, and more. With a toddler, we're often asking Siri "Where's the nearest public restroom?". And, it's great to have access to voice calls (via Skype and/or FaceTime) when you need the functionality of a phone without the crazy high international calling fees. You rent this device and it's not cheap, but it's worth it for us. Have you tried KIND bars? For a little energy on the run or when there's no time for lunch, these can't be beat. They're "fancy" granola bars made from all natural fruit and whole nuts (not the chopped stuff). They're also gluten free, dairy free, and have minimal sugar. Best of all, they taste SO good! My favorite flavors are the Almond & Apricot, Peanut Butter & Strawberry (tastes just like a classic PBJ sandwich), and Dark Chocolate Cherry Cashew. It's critical to keep water on you every day but especially when you're traveling. The fluids flushing through your system keep you hydrated so you'll feel less fatigued. I'm a self-proclaimed water battle connoisseur...I've tried so many brands, I've lost count. My favorite of all? Camelbak bottles are virtually indestructible, affordable, and don't leak. Throw it in your bag and off you go! 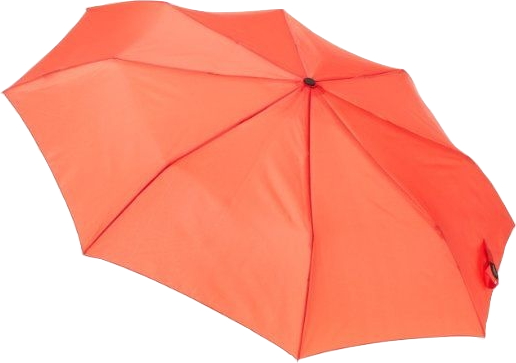 A good travel umbrella is tough to find - believe me, I've scoured the internet for one. You can easily drop $50+ on an umbrella, just to get one small enough to fit in a day bag and that doesn't mean it's great quality. This umbrella has great reviews (highest number of stars for compact umbrellas on Amazon), automatically opens and closes, and folds down to only about 10" long. Plus, it's really affordable. I'll be ordering one...or two. When traveling, you've got to be ready for quickly changing weather. 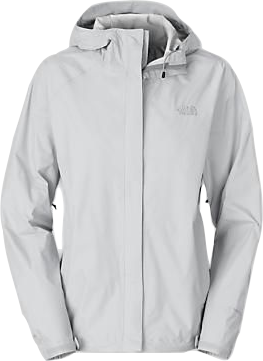 For Europe in the Spring, a raincoat is essential, and you might as well get a jacket that is also a quality windbreaker. This one is hooded, waterproof, breathable, has zippered under-arm vents, and stows away into it's own hand pocket (so cool and compact!). Did I mention that it only weighs 12 oz? 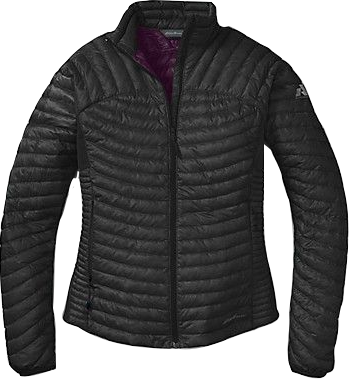 I stand by this jacket as the best warm base layer that money can buy. It keeps me toasty as I'm out and about throughout the day during Boston winters. My favorite things about it? 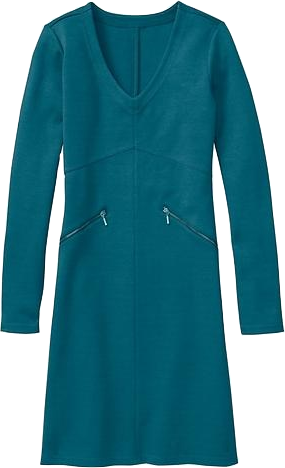 It's not bulky so you can layer it under other jackets, like the above raincoat. It's a super lightweight down jacket that can be compressed into a small roll in your luggage. And, as with all Eddie Bauer wares, if anything is wrong with it - a rip, a stain, a burn, a change in color taste - simply take it back for a replacement. No receipt required and no questions asked...no matter how long you've had it. While traveling, don't forget your cleansing facial wipes and moisturizer with SPF! This is my new favorite skincare line. It's very affordable, is great for sensitive skin (i.e. oil free for breakout prone skin like mine), and has no harsh chemicals, dyes, or perfumes that harm skin. Oh, it also contains vitamins like B5 that are great for your skin. 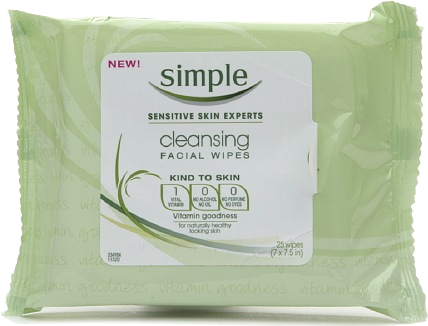 And, the wipes remove waterproof mascara! That wraps it up for today! 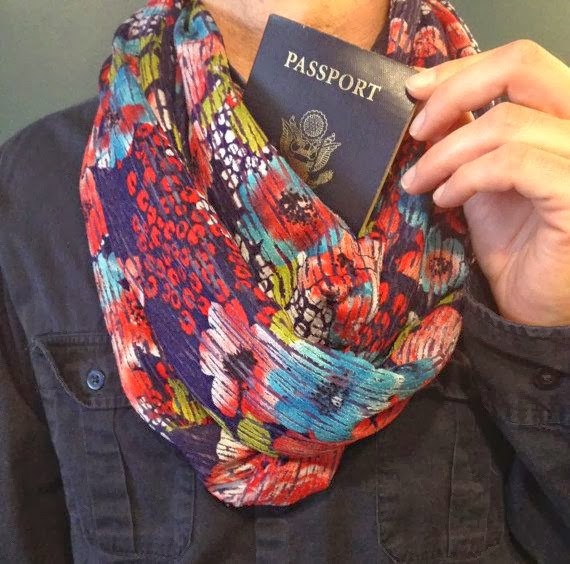 Any other travel essentials you recommend for female globe-trotters? What other travel essentials posts would you like to see in this blog series? Do share! I didn't know that about Eddie Bauer. I'm all over that.